Objective: Count all the paths from left top corner to right bottom corner in two dimensional array. 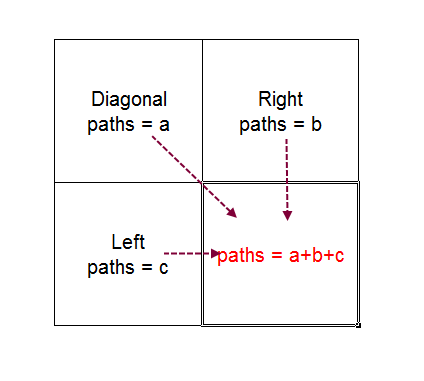 Create two dimensional resultCount array to store the number of paths from top left corner. Base Case: To reach to any cell in either first row or column from first cell(top left at 0,0) will be 1. 253 queries in 0.141 seconds.